The ski station of Flaine has one of the best snow records in the Alps. Recent improvements to the accommodation and lift system have made Flaine one of the best places to ski in Europe. With a transfer time of only one hour fifteen minutes from Geneva airport, Flaine is a popular destination for weekend and mini-break ski trips. Flaine is a popular destination for skiers on a budget. The Go Massif shared service offers exceptional value for money, especially for individuals and small groups. A private service is also available to get you and your group to and from Flaine without delay. 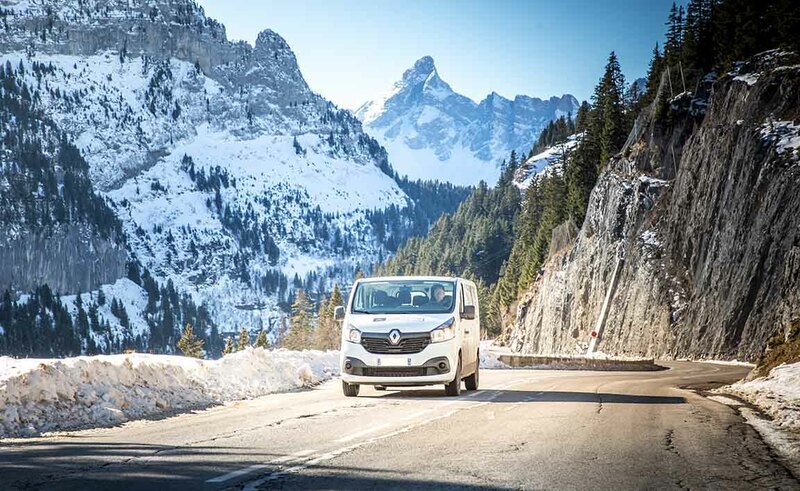 Go Massif are the only transfer company with drivers permanently based in Flaine. The company has every address in the resort mapped and has an unrivalled knowledge of the often snowy road conditions found at Flaine’s high altitude. Go Massif operate a shared mini bus service between Geneva airport and Flaine during the winter. Arrival passenger grouping times are 90 minutes on weekdays and Sundays and only 60 minutes on Saturdays. As Flaine is a popular destination, waiting times are often much less. As well as being much more regular than the public bus service, Go Massif will drop you off and pick you up from the door of your accommodation. Go Massif also offer a ‘shared plus’ service for customers who are happy to share with other passengers but want the vehicle to leave at a time that specifically suits them. If you are only on a short break and you want maximise your time on the slopes in Flaine, the Go Massif private taxi transfer service may be the ideal solution. Like a taxi, the entire vehicle on a private transfer is dedicated to you and your timings. Go Massif’s vehicles can comfortably carry up to 8 passengers plus ski luggage. The service is equally suitable for individuals and couples wanting a premium service to Flaine. *By selecting 'multi-journey' you will be prompted to add one journey at a time. When you have added all the journeys you need, click 'get prices'. Please enter the total number of people travelling, including children and babies. Child booster seats are provided free of charge. I am text about timing. I can be quite long so the time picker needs to go over the top of me. 90 mins max. passenger grouping. Sharing with passengers who have already arrived, or who are scheduled to arrive no more than 90 minutes later. Passengers may also need to wait for the vehicle to arrive. Most Shared transfer journeys go direct to resort. However, occassionally passengers must travel to other Grand Massif destinations to drop other passengers off before being dropped off themselves. It is not possible for Go Massif to provide you with the journey or journeys you have selected.